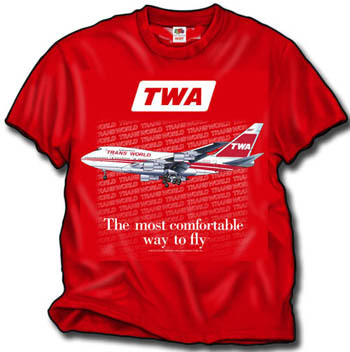 Our Braniff B747SP shirt was printed on an Ice Grey shirt for a wholesale customer. We have a few left for sale that were leftover. They are exactly the same as our other Braniff SP shirts, but on an Ice Grey shirt rather than the Stone Blue! Sizes Large, XL and XXL.